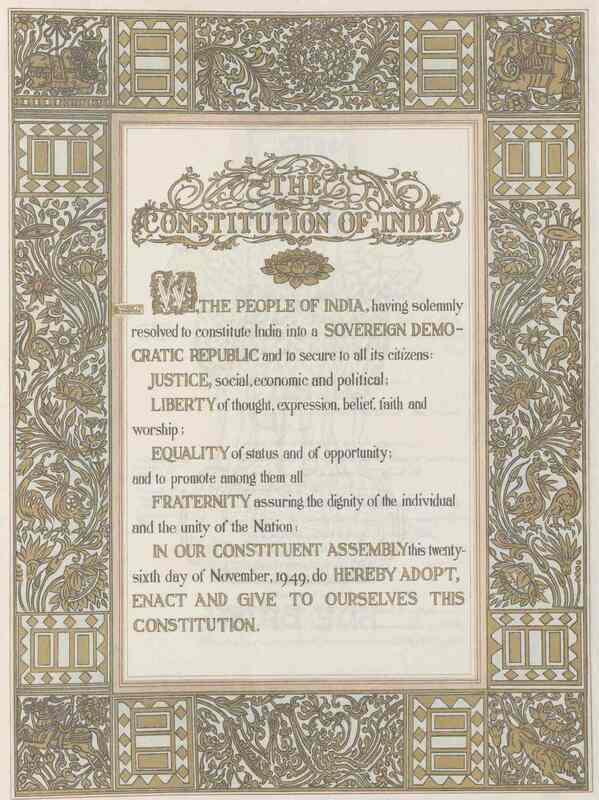 The original Constitution of India, adopted on 26 January 1950, was not a printed document. It was entirely handcrafted by the artists of Shantiniketan under the guidance of Acharya Nandalal Bose, with the calligraphy texts done by Prem Behari Narain Raizada in Delhi. 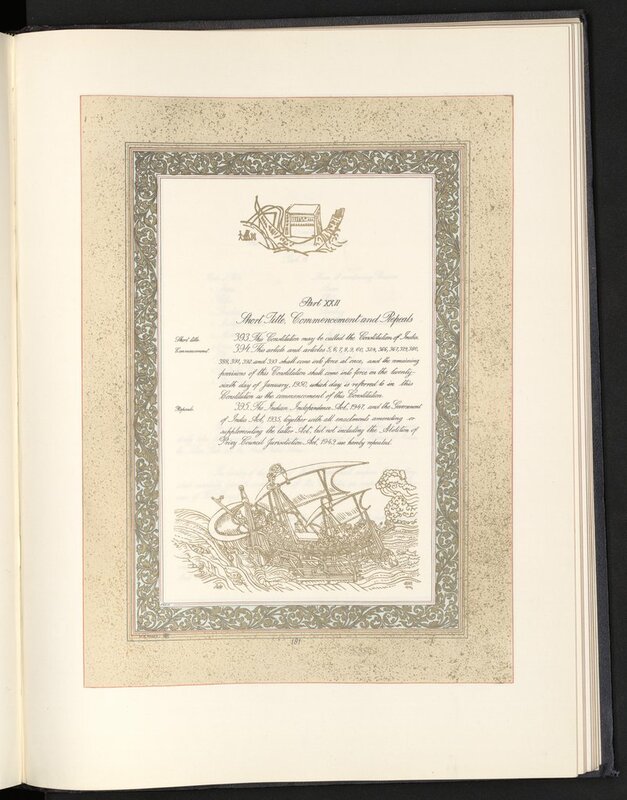 This document is now preserved in a special helium-filled case in the library of the Parliament of India. 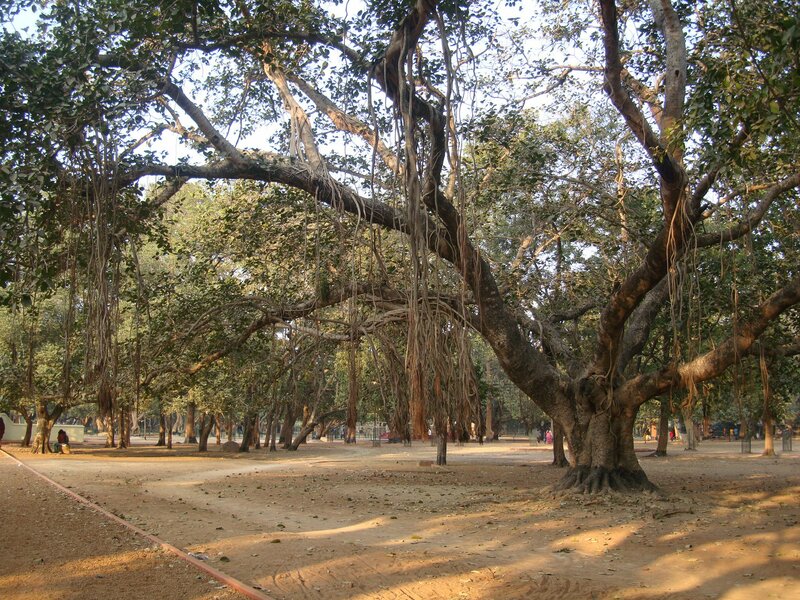 In many ways, the original handcrafted Constitution represents one of the triumphs of Shantiniketan and Kala Bhavan. 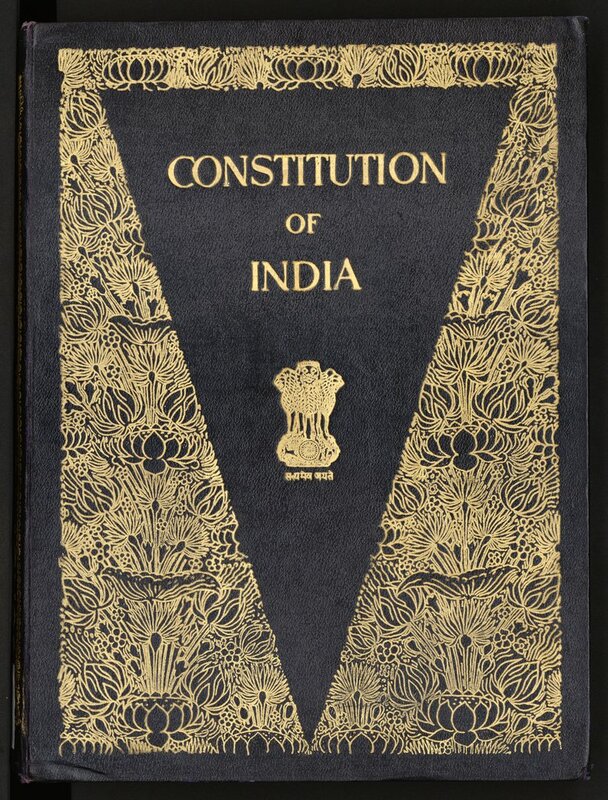 The original Constitution of India, adopted on 26 January 1950, was not a printed document. 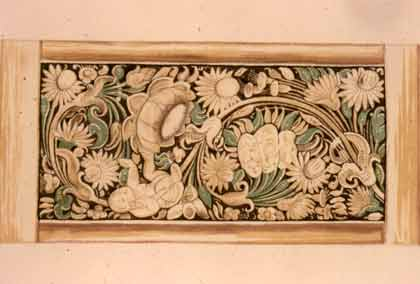 It was entirely handcrafted by the artists of Shantiniketan under the guidance of Acharya Nandalal Bose, with the calligraphy texts done by Prem Behari Narain Raizada in Delhi. 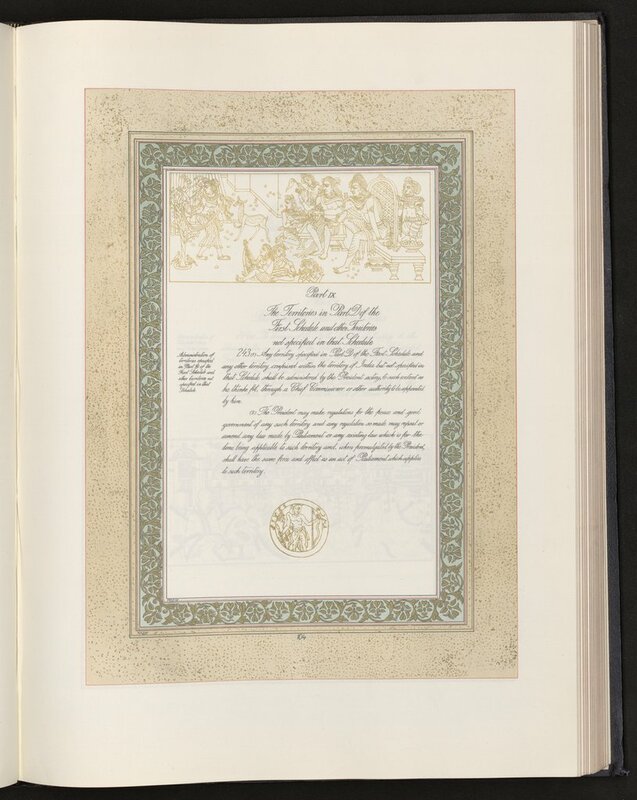 This document is now preserved in a special helium-filled case in the library of the Parliament of India. 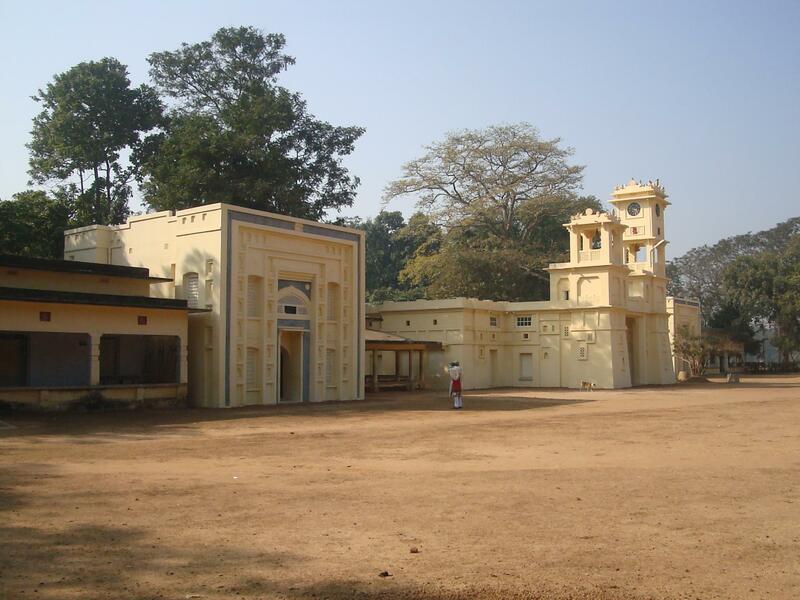 Shantiniketan and the Visva-Bharati University therein were conceived by Rabindranath Tagore as a "vishwa-vidya-tirtha-prangan" place where the best minds from all over the world would meet and help create a new culture that would be based on the synthesis of the best of the West and the East. 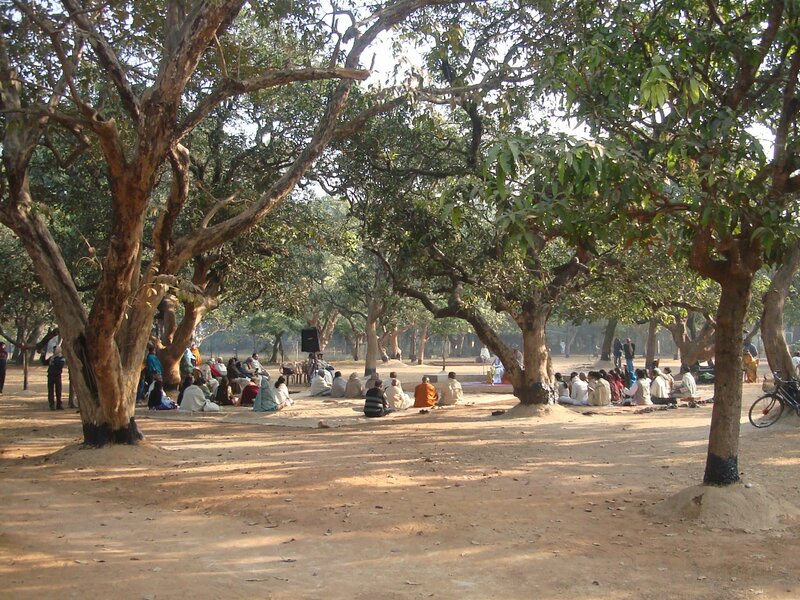 In accordance with Tagore's vision on education, Shantiniketan developed into an integrated and holistic system of education in which art played a central role. 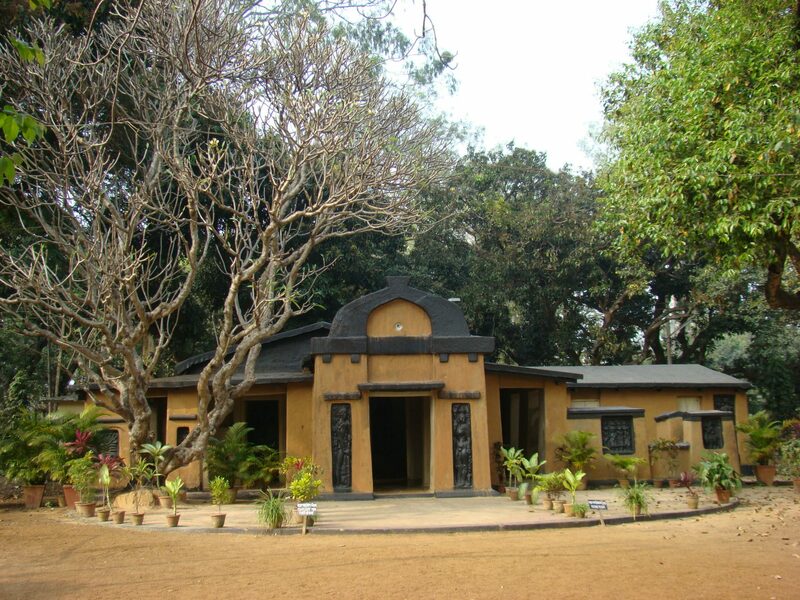 Kala Bhavan, the centre for fine arts was set up under the stewardship of Acharya Nandalal Bose. 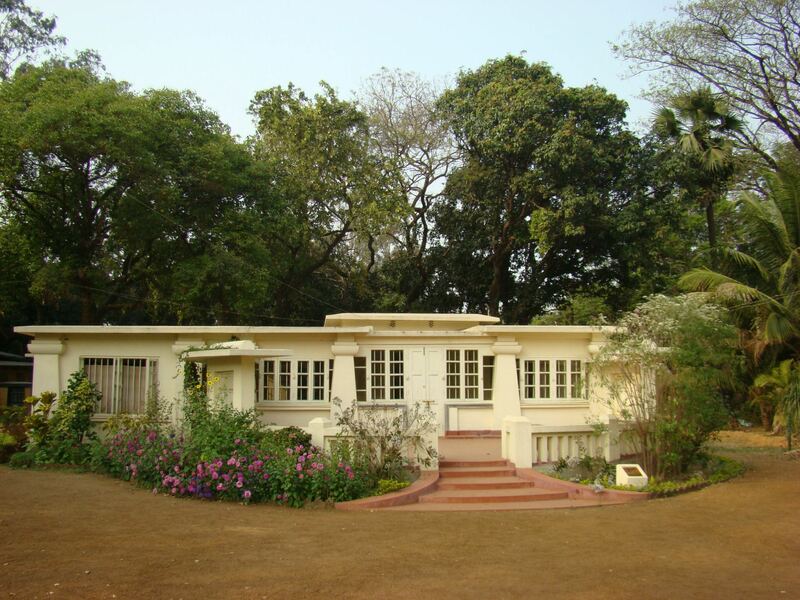 Bose, who was a nationalist and very close to Mahatma Gandhi, created a home-spun curriculum of art education that incorporated Tagore's notions about creativity and experimentation. 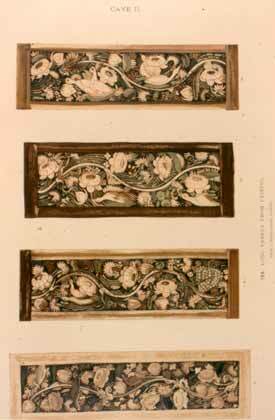 Bose identified new and indigenous sources of inspiration, and evolved a new aesthetic language. 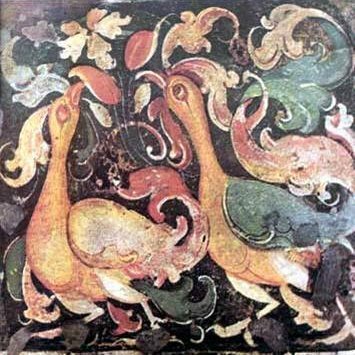 He added to his own creative genius the grand artistic traditions of ancient India (particularly the Ajanta and Bagh murals and Rajasthan and Mughal traditions) and that of Indian folk art. 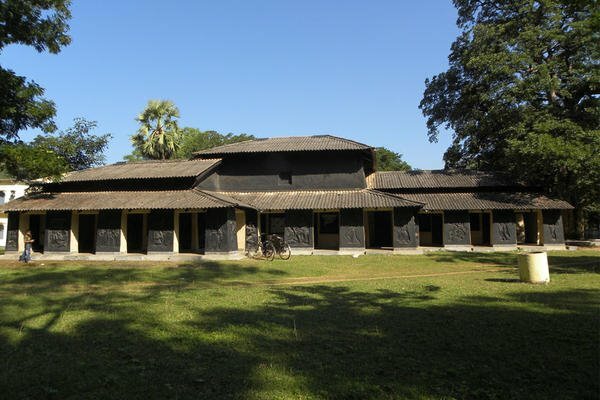 He had already imbibed influences of Sino-Japanese art under his teacher Abanindranath Tagore and was enriched further through his interactions with visiting Japanese artists at Shantiniketan. 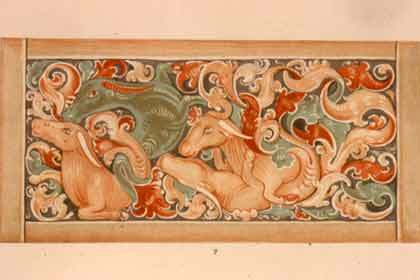 Earlier, in 1909-11, when Christine Herrington, a force in the English mural movement, visited India in order to copy the rapidly deteriorating Ajanta murals, Nandalal Bose and other artists from Calcutta (students of Abanindranath Tagore) had gone along to assist her. 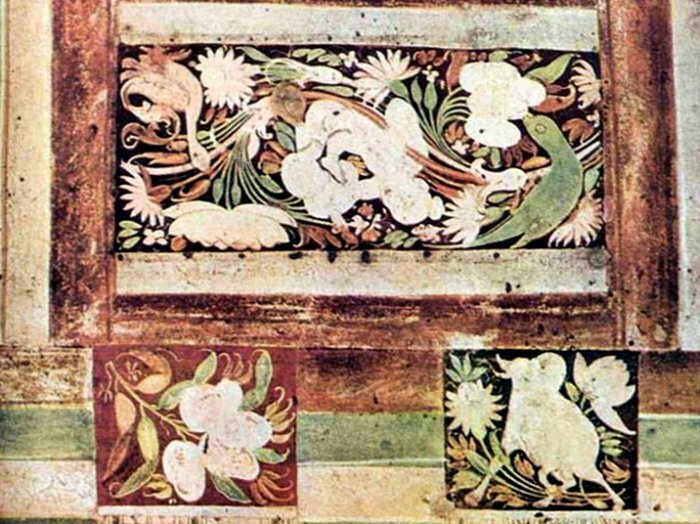 The impact of the Ajanta murals on Bose was staggering. 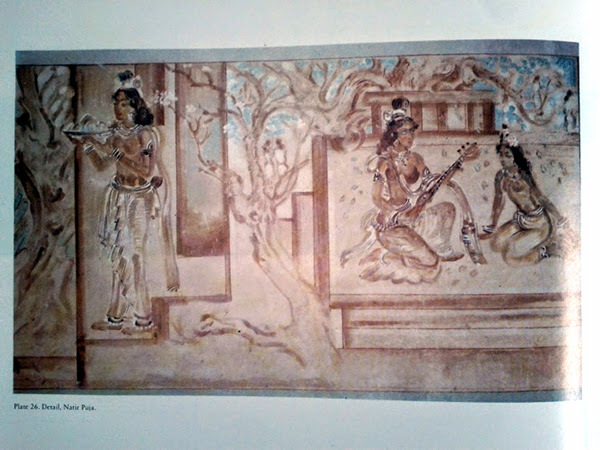 Later, Bose and other Shantiniketan artists -- Asit Haldar and Surendranath Kar -- were sent to copy the exquisite but rapidly deteriorating murals of the ancient Bagh caves in present-day Madhya Pradesh. 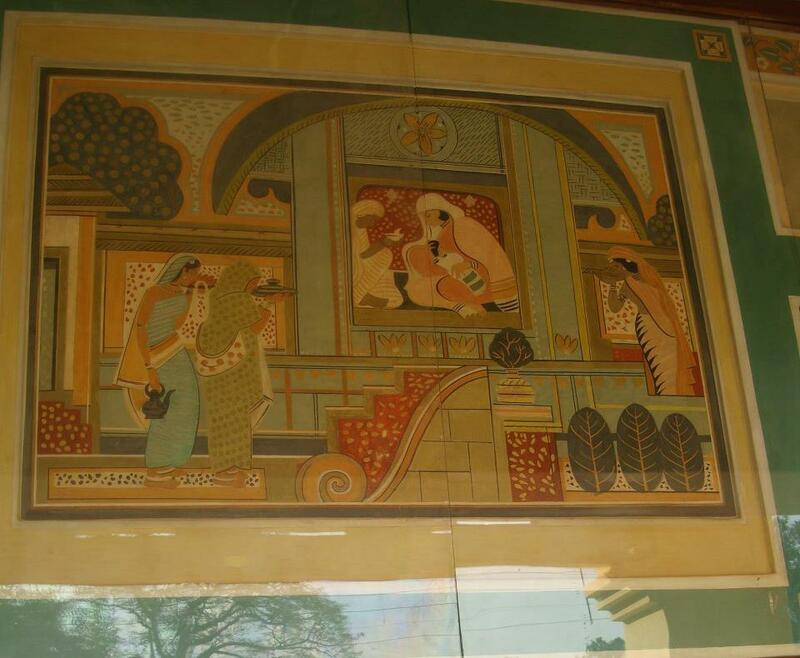 Inspired by the Ajanta and Bagh experiences, Nandalal Bose and his students later initiated a program in fresco and murals at Kala Bhavan. 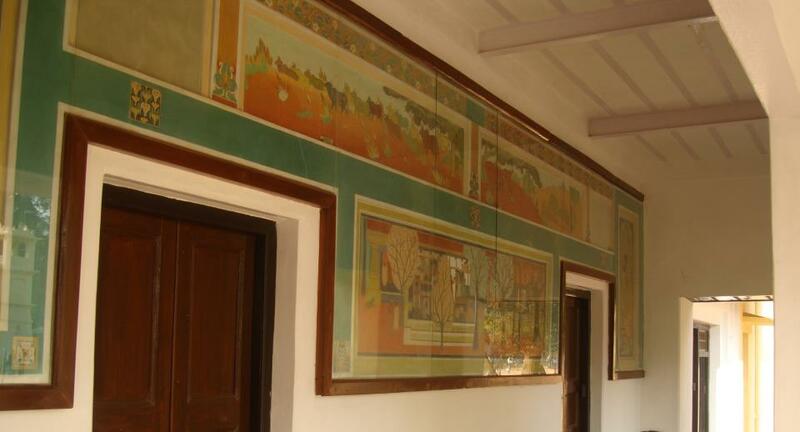 The art of modern Indian fresco and mural was thus born in Shantiniketan. 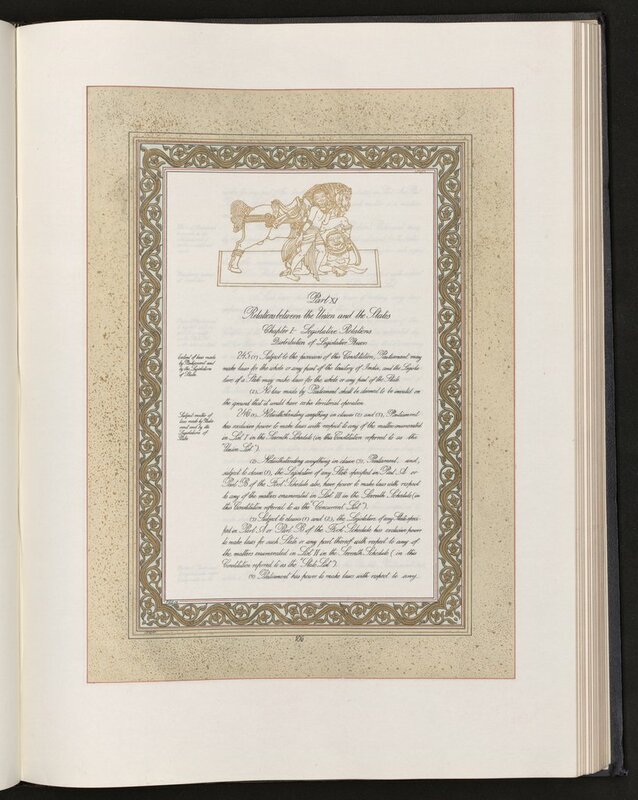 The original handcrafted Constitution of India was exquisitely designed and executed. 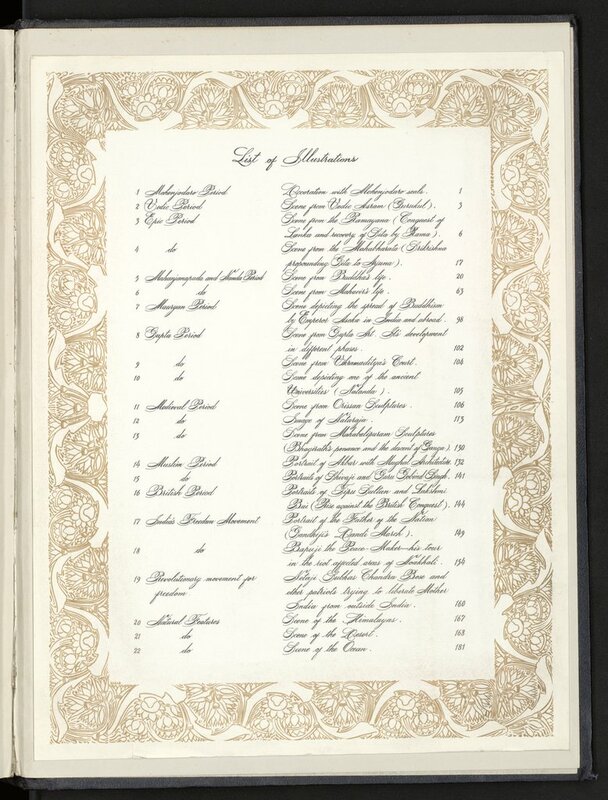 The fine calligraphy in the book was done by Prem Behari Narain Raizada using a holder and nib (nib no. 303). He did not charge any fee for this work. 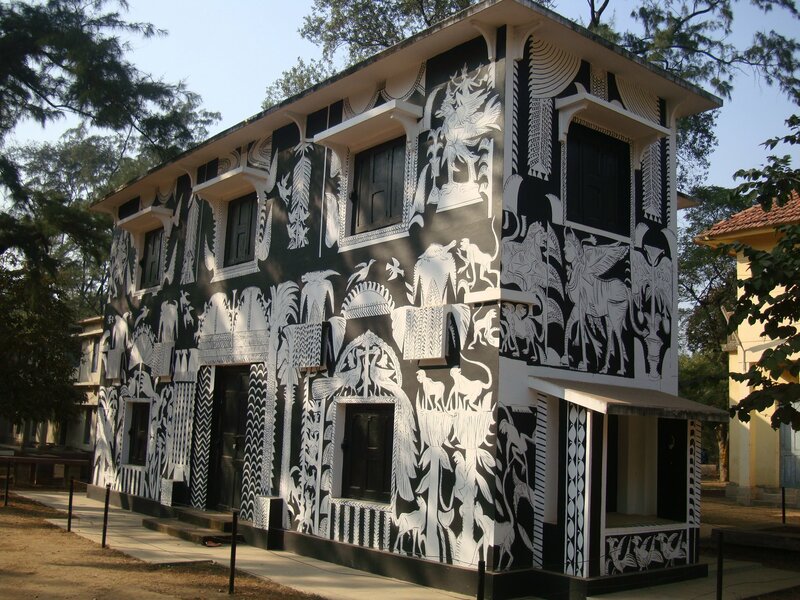 In Shantiniketan, along with his students, Nandalal Bose completed the art work. 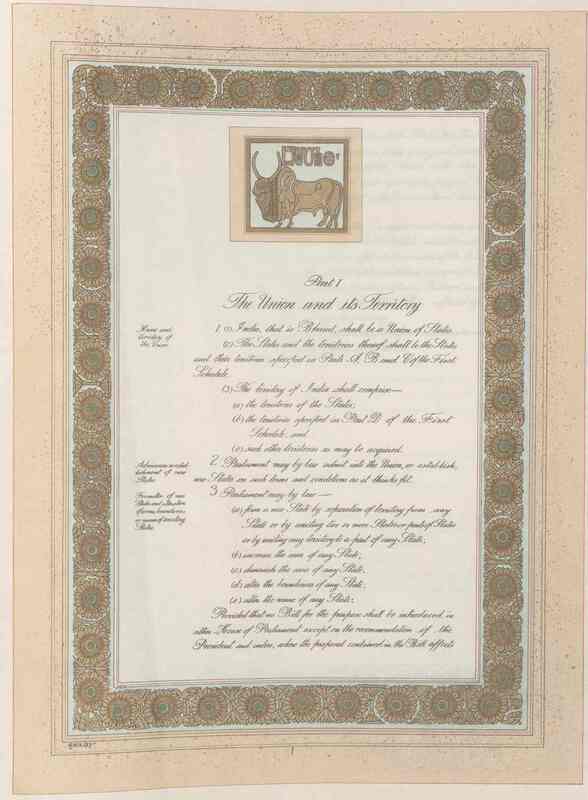 The "Preamble" page was done by Beohar Rammanohar Sinha. 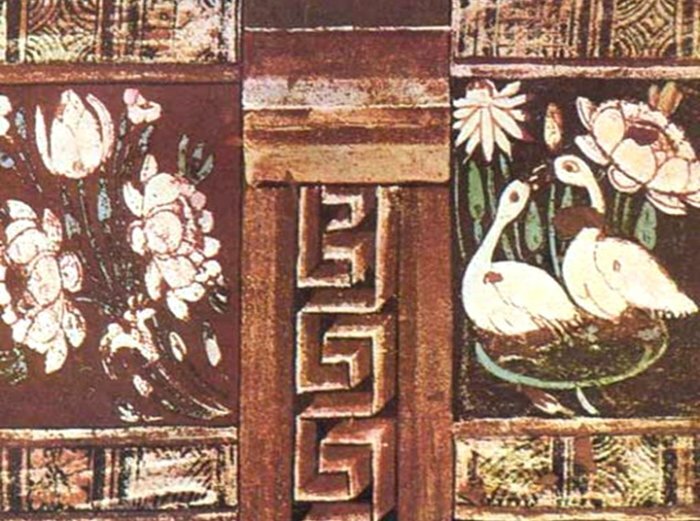 Another Kala Bhavan artist associated with the artwork was Kripal Singh Shekhawat from Rajasthan, who after returning to his home state, subsequently went on to revive Jaipur blue pottery from near extinction. 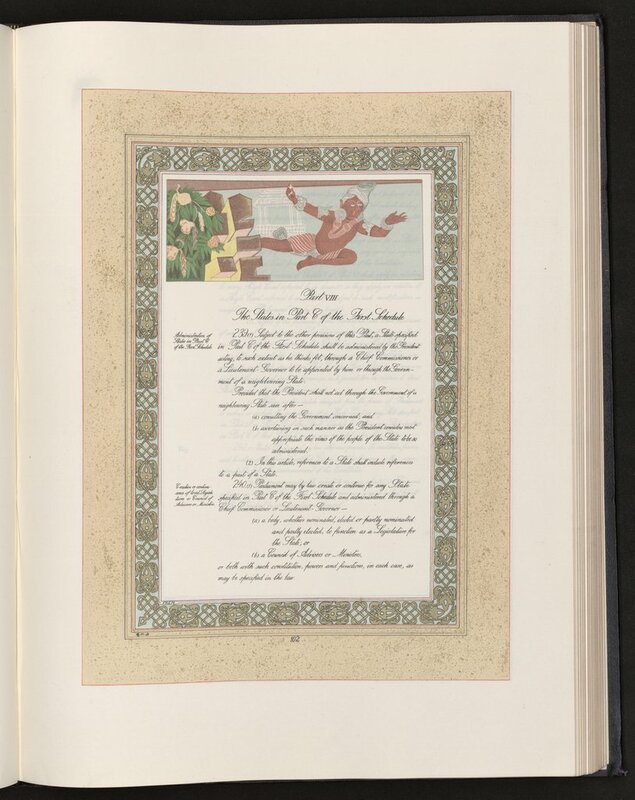 Many pages of the Constitution are embellished with highly stylised decorative borders, headers and backdrops. 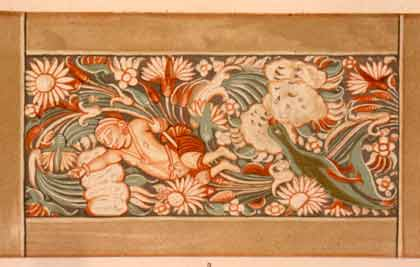 The complex patterns in the borders and in the front and back covers, embossed in gold on leather, are reminiscent of the Ajanta murals. At the beginning of each part of the Constitution, Nandalal Bose has depicted a phase or scene from India's national experience and history. 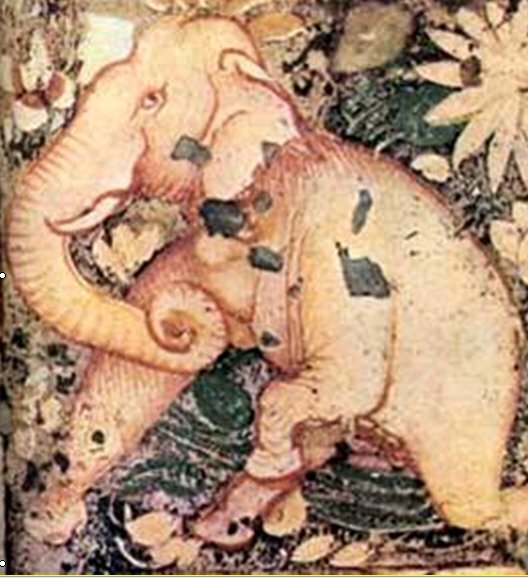 The artwork and illustrations (22 in all), rendered largely in the miniature style, represent vignettes from the different periods of history of the Indian subcontinent, ranging from Mohenjodaro in the Indus Valley, the Vedic period, the Gupta and Maurya empires and the Mughal era to the national freedom movement. 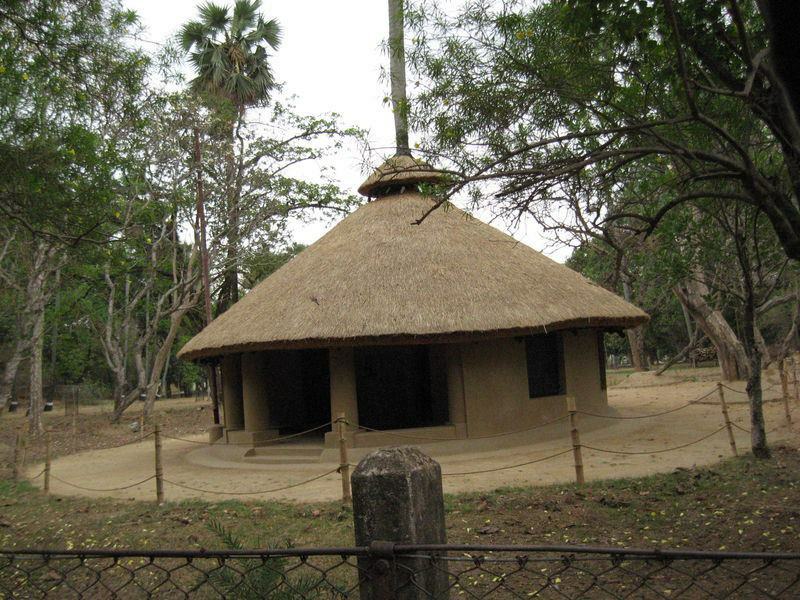 By doing so, Nandalal Bose has taken us through a veritable pictorial journey across 4000 years of rich history, tradition and culture of the Indian subcontinent. 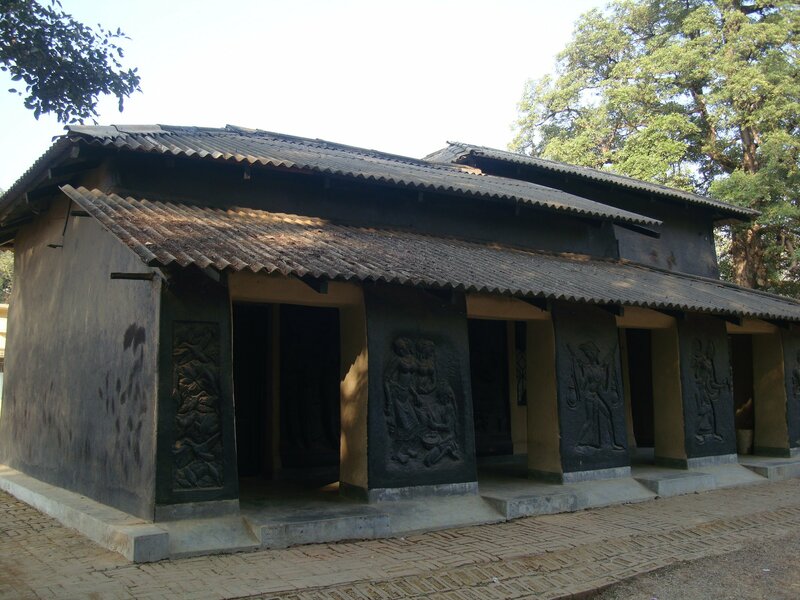 The Vedic period is represented by a scene of gurukula (forest hermitage school) and the epic period by images from the Ramayana and Mahabharata. Then there are depictions of the lives of the Buddha and Mahavira, followed by scenes from the courts of Ashoka and Vikramaditya. There is a beautiful line drawing of the Nataraja from the Chola bronze tradition. 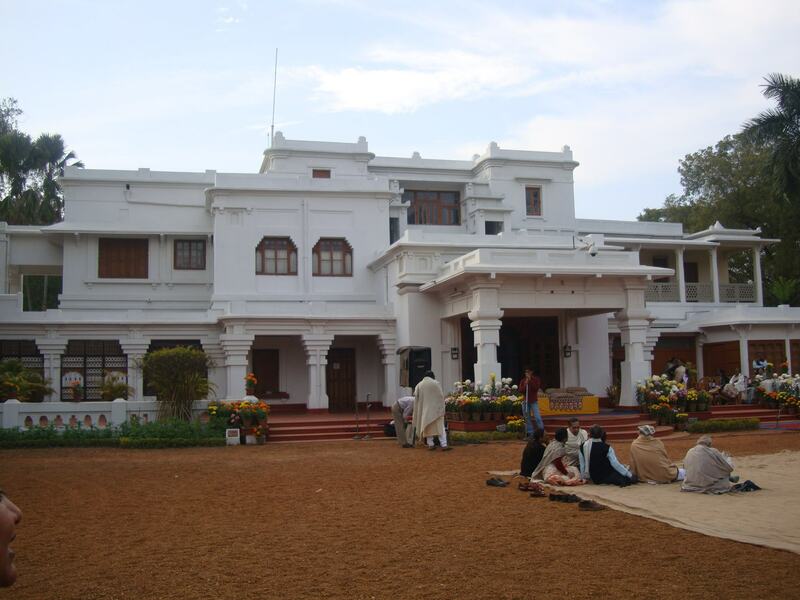 Other important figures from India's history include Akbar, Shivaji, Guru Gobind Singh, Tipu Sultan, and Lakshmibai. The freedom movement is depicted by Mahatma Gandhi's Dandi march and his tour of Noakhali as the great peacemaker; Netaji Subhash Chandra Bose makes an appearance too. 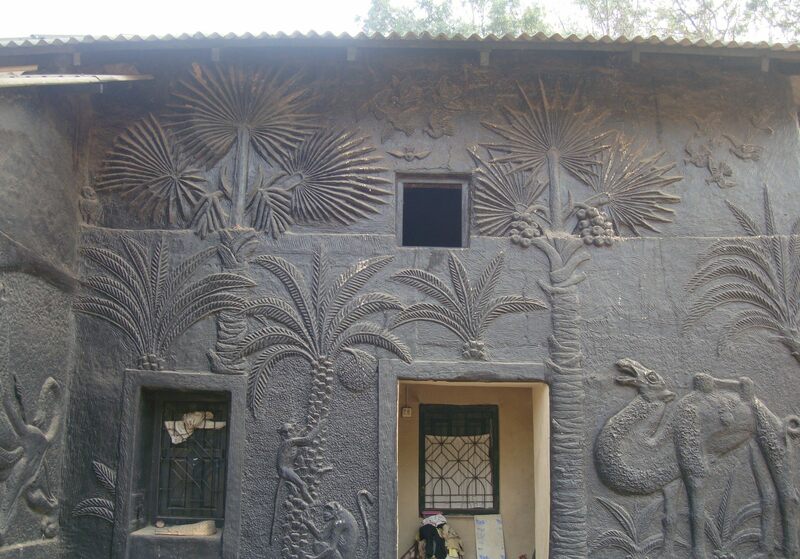 Scenes of the Himalayas, the desert and the ocean are also included. 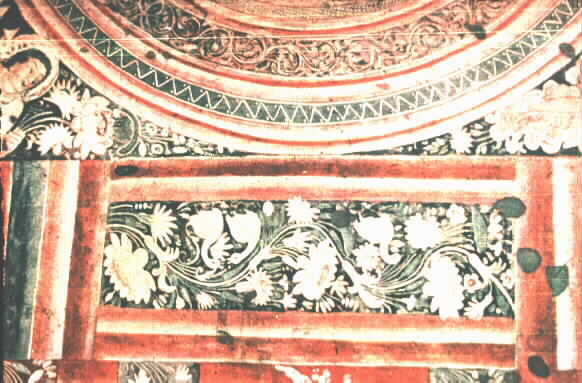 The illustrations and the decorative borders are quintessential of the Shantiniketan/Kala Bhavan style, which in turn was greatly influenced by the cave paintings of Ajanta and Bagh. 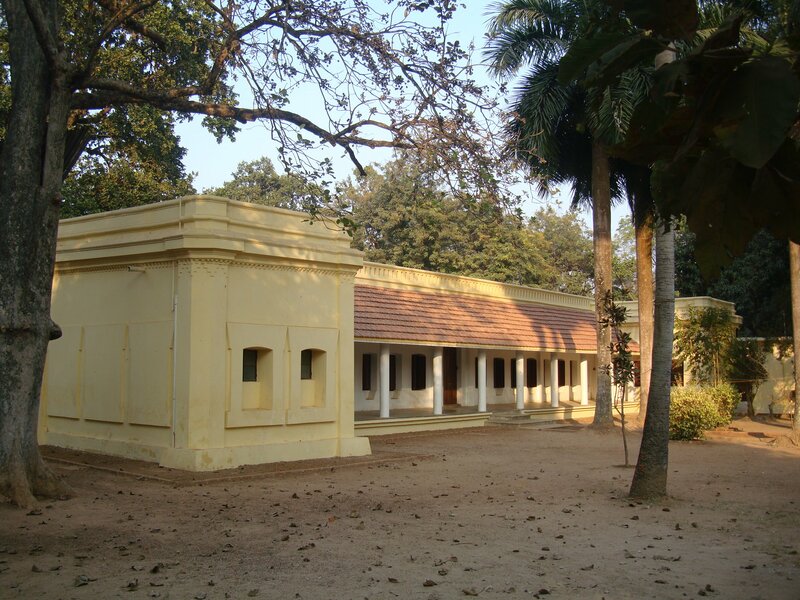 In many ways, the original handcrafted Constitution of India, as a work of exquisite aesthetic expression, represents one of the triumphs of Shantiniketan and Kala Bhavan.